It sounds like a healthfood doesn't it - somewhere in the same league as Tofu but maybe sweeter? Well, it's at the other end of the health spectrum unfortunately - TOFI stands for Thin on the Outside Fat on the Inside. It relates to people who don't look obese (in the way society categorizes obesity) because they aren't fat all over. They just have a pudgy midline - and I know there's a lot of us out there who are looking at our waistlines at this very moment and thinking.....maybe this is me? Visceral fat, also known as organ fat or intra-abdominal fat, is located inside the peritoneal cavity, packed in between internal organs and torso, as opposed to subcutaneous fat, which is found underneath the skin. I wanted to share an image of what visceral fat looks like, but there was nothing I could find that wouldn't breach copyright. So in the interests of caring and sharing here is a link to Make Your Body Work's great post on the subject (with accompanying pictures). 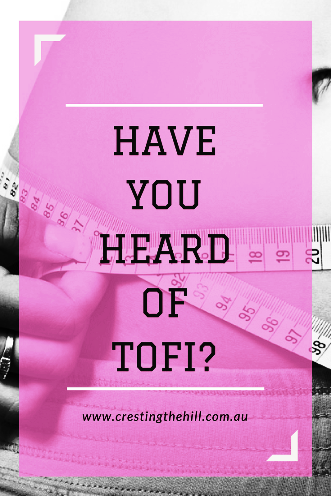 TOFI seems to be a "condition" that affects those of us in Midlife who aren't exercising enough and who aren't carefully watching the types of food we're consuming regularly. A friend of mine recently described it by saying her weight was migrating from the poles to the equator. In other words she had slim arms and legs, but was developing a nice little "pudding' on her midline. We often despair over the muffin tops that try to squeeze over the waistband of our jeans and we start to dress in ways to disguise our little "pooches". Some of it is from having children and the wear and tear on our abdominal wall and muscles, but there is also the issue of more fat on our midlines than there used to be. Somewhere in our 50s (for most women) Menopause raises it's miserable head and, along with numerous other issues, we have less estrogen which leads to more fat storage on the stomach. We develop Midlife Midrift Spread - a term that covers those few pesky inches that have settled around our waists and tummies that refuse to shift no matter how hard we work at it. Maybe it's time to approach it from a different angle. Maybe all the stuff we're doing isn't enough because we're missing something - and I'm beginning to wonder if the thing we're not giving enough attention to is sugar in all the processed foods we eat and drink. My husband and I sat down and watched a documentary made by an Australian - Damon Gameau. It was called That Sugar Film and followed Damon as he ate refined foods and soft drinks that were full of hidden sugars, for three months. He averaged 40 teaspoons of sugar a day - which is quite normal sugar consumption for a lot of us in Western Society (the main culprit being soft drink) and the changes to his body were frightening. He calculated that there was approximately 4gms of sugar to the teaspoon and let us know how many teaspoonsfuls there were in most of the food he ate. He didn't exceed his normal calorie intake. In other words, he didn't add calories to his diet - he just ate foods that contained calories as sugars rather than the usual natural foods he ate with their accompanying calories, and he maintained his usual amount of exercise. The change to his body shape and the weight he gained in 3 months was quite staggering. The World Health Organisation recommends our sugar consumption should only make up five per cent of our total daily calorie intake, which equates to about 25g or six teaspoons per day. Men are permitted up to eight teaspoons. This seems reasonable until you look at what's in the food and drink we treat ourselves to. Last weekend we went for a bicycle ride - beautiful day, plenty of exercise and when we reached our destination I treated myself to a 600ml "low fat" iced coffee - when I read the label afterwards I found out it had 42gms sugar - 10 teaspoons! I had blown nearly two days worth of my sugar allowance in 10 minutes as I knocked that iced coffee back with gay abandon - scary stuff! So now I'm being much more diligent in my label reading at the supermarket. I'm becoming less worried about fats (although they still tick a lot of boxes for weight gain) and I'm focusing in on all those hidden sugars - especially in "low fat" foods. I'm very grateful that I don't drink soft drinks regularly and that we home cook most of our meals and don't eat a lot of processed food. My goal now is to cut back even further on those high sugar foods that I've allowed to slip into my snack times and see if I can stop the migration to my equator! About 5 years ago, we started reading labels and taking out unnecessary sugars. It's truly amazing how much sugar is in the darnest things!! Do we still eat some? Of course, but we try to also eat pretty clean, so not so many chemicals!! I'm with you Jodie - I don't think you have to eliminate all sugar, salt and fat from your diet - but it makes sense to know what you're putting in your mouth and to make an informed choice. I took most sugar out of my diet about 8 years ago - mainly because I suffer with PCOS & therefore have a predisposition to diabetes and insulin resistance. I am overweight - at least 20kgs - but my blood sugars are ok again these days. We also switched to low GI alternatives of many basics when my husband was diagnosed with diabetes a couple of years ago & his sugars are now also managed through food. With us it's a matter of portion size - we eat very good food but way too much of it. My doctor last time I went said I had the opposite problem - healthy on the inside and fat on the outside! That comes with it's own problems & is having an impact on joints and blood pressure. That's an entirely different story. It's a tricky balance isn't it Jo? We have so many food options put in front of us and we have to consciously decide every day what to eat and how much to eat - definitely a first world problem - but still a problem that has serious consequences. I've never heard of TOFI. I was TOFI until a couple of years ago when I became FOFI. I really let myself go and became morbidly obese. I don't think I look as bad as that sounds, but I am not healthy. This is a huge concern for me. My husband is in poor health due to cancer. I need to be at my best to help him and our children through this time. This is a wonderful article and a fantastic wake-up call! Thanks Heather - it's soooo easy to slip into becoming overweight and I'm sorry that you now have a battle on your hands. I'm trying my hardest not to slip any further down the slope, but my metabolism seems to have left the building and everything that goes in my mouth seems to end up on my midline these days. I've never heard of TOFI but I've certainly seen and felt it! I have been reading labels for years -- it is one of the things that keeps me from devouring junk whenever I have a craving. I know the key is exercise but easier said than done! Thanks for the reflection. Those low fat foods are a killer Jan - every time I get tempted to buy one now I look at the sugar content and end up leaving it on the shelf. 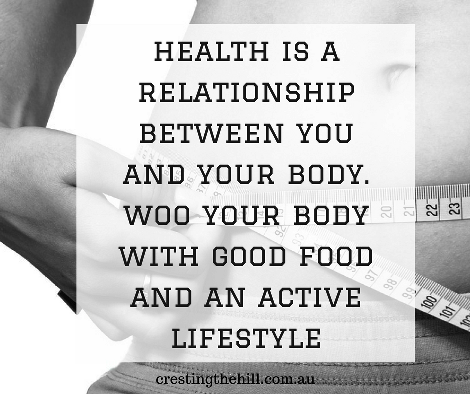 I'm with you - I'd rather choose chocolate and have a treat than be tricked into thinking I'm being healthy when I'm not. So many thoughts! I had the same sugar epiphany a few years ago, and watched labels a little until I just decided to cut down on the pre-packaged foods overall. 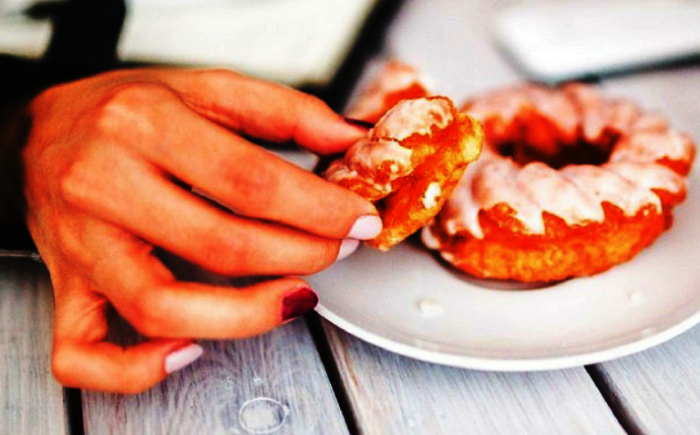 Generally, processed foods are high in sugar and chemicals. Of course, moving to China exponentially decreased the packaged foods in our house! I have always had a sweet-tooth, but as I've aged I limit myself a bit more just to keep things in check. Never much of a soda person, I find that I LOVE a strange strawberry soda here in Vietnam! Not quite a one-a-day habit, but I get it now, soda drinkers! I've always been a savoury person but I hadn't realized how much sugar had snuck in when I was blithely thinking I was doing the right thing by avoiding the obvious sweet treats. Now I am being more intentional in my label reading and deciding whether I want to use up my six teaspoons or so in one hit! I'm the same Kathy - I think more and more processed foods have snuck into our diets. I think I'm eating whole and healthy and then I look at the snacky things that have been added to my eating over the years and they're hard to say no to. I'm learning to be more selective though - and watching the low fat foods that pack sugar in for flavour. Never heard of TOFI. But I'm not surprised with those on the high fat, salt, sugar standard american diet. It is frightening and the struggle is real! I was flabagasted by how much soft drink Americans consume Megan. We don't have it as part of our diet in Australia, but there is still a lot of it consumed because it's so readily available and cheap - it's always on special in the supermarket! I used to pretty much be the opposite. VERY overweight but still quite healthy. I was lucky that I played A LOT of sport as a kid so stayed pretty fit and healthy until my 20s or 30s. Of course I stopped exercising at various points in my life but I'm very grateful I had a good start on that front! I think my activity dropped off in my 30s and 40s Deb and now I'm making a conscious effort to try to move more in my day - I still struggle to cover even 8,000 steps a day on my fitbit, so I have more work to do in that department - and watching my snack food intake is a big one too. I'm a potato addict to Yam - it tastes amazing in any shape or form - but add salt and fat and I'm a goner! It's a case of resisting all the time - and now I'm adding anything with sugar in it to the list - my snack foods have been curtailed big time, but those pesky kilos won't disappear. I have heard of a variation of TOFI, called "skinny-fat". I've always carried a little extra, but now with menopause I have a little extra-extra. I do know it is the more dangerous kind of extra (around the tummy) and I can tell you that it is also the hardest kind of extra to lose! Thanks for the reminder to look at hidden sugars in food! Mine is lurking around my tummy too Deb - I can feel my waist thickening and I'm certainly several kilos heavier than I was ten years ago - it's soooo hard to shift the weight without going hardline and I'll never be a runner or a vegan, so I'm looking for ways to curb the increase and turn it around - slowly but surely! The only thing that has worked for me is a high fat/low carb paleo-type diet. Very effective and you are never hungry and have tons of energy...but it is hard to maintain if you want to eat out or be social!!! Oh, boy. Were you looking at me? :) The middle keeps spreading. Just this morning I was trying to decide what I am willing to do about it. Sitting at a computer all day doesn't help. It takes a little extra effort to move! (and shop for better food choices) Thanks for the encouragement and reminder that I'm not alone! I know exactly what you mean Kimberley - I sit waaay too much and it isn't good for me - but all the things I love to do involve sitting around (I'm a slug!) So I have to discipline myself to get up and move and also to watch the hidden calories and sugar that I've previously ignored. The sugar thing really surprised me Diane - I would have said I didn't have much sugar in my diet - now I realize how much is sneaking in and I'm trying to keep more of an eye on it. Although I had not heard of the term TOFI, I understand exactly what it means at 63 years old. And, I just made the decision a few days ago to cut down on my sugar intake to see if that would help this pesky little roll that has been appearing near my equator. So it would seem that I'm on the right track, which is very encouraging! Thanks! I think sugar is a bigger culprit than we've been led to believe Candi - I thought I was pretty minimal in my sugar consumption - but when I start looking at labels I realize how much sneaks in under my radar and I'm being more proactive in cutting back. Unfortunately I am fat on the outside too, hey ho! I'm heading in that direction too Sonia - my midline is creeping outwards and I'm not a happy camper! I was a bit horrified at what was happening behind the scenes inside my body Sandra. I would have said I eat healthy with an occasional treat too - but my weight still seems to be creeping upwards, so I need to find a way to turn back the tide - I started off telling myself it didn't matter, but there comes a point were I have to say - yes it does affect me and I'm going to do somethihng about it before my knees start complaining and I'm a permanent couch potato. Hi, Leanne - Thank you for this important reminder. The information that you have shared is crystal clear. There are so many hidden sugars in what we eat and drink. Reading labels and doing a bit of homework in this area takes a bit of time up front, but can make a huge difference to our overall health -- especially in midlife! Hi Donna - I look at you and Sue and some of the other really fit and slim Midlifers and I want to stay within those parameters - rather than sliding into being overweight and unhealthy - I got away with being slack for the first half of my life, but now I have to step up my game as my metabolism takes a dive. I think I need to start looking at labels a bit more. I'm not a big sugar person; hardly ever drink soda-pop or eat cookies/cakes. Years ago, I switched my dining out calories to wine instead of dessert. But now I'm wondering if its sneaking in on other things I eat. Thanks for highlighting this! I think it sneaks in under my radar with the little afternoon snack treats I allow myself Pat - I tell myself that I deserve to have a treat, but I'm suffering the consequences as my metabolism slows down. I guess it's a case of move more and eat less - because I'm not likely to fade away to a shadow any time soon! Ahh, Leanne, you have shaken me out of my usual blissful state of self delusion. I looked at some of your links, did some measurements, and was not happy with the results. This is all information that I already know, but it is so easy to put it to the back of the mind. I was exactly the same Jude - that stupid iced coffee woke me up with a mighty bang. I could not believe how much sugar I'd knocked back in no time at all and what it had done to completely nix any benefit of the bike ride. Now I'm being a bit more intentional about what goes into my mouth and hopefully there'll be some good that comes out of it! It was the fact that his calories stayed the same, and yet he whacked on all that weight around his middle that really got to me too Sue - who'd have thought that sugar was such a big player in the weight gain scenario? I'm always conscious of my fat intake, now I've added my sugar consumption onto the watch list - still having my treats, but being aware of what's in them and not over-doing it. I have followed a low carb diet more often than not. Sugar is my downfall and the more I eat the more I want and there is hidden sugar in some many processed foods. I had never seen the viseral fat called TOFI before even though I knew about it. Good post Leanne. Thanks Victoria - it was a bit of a wake up call for me because I'm noticing my waistline thickening even though I'm moving more and eating less. I think those hidden sugars have a lot to answer for and I'm trying to be more observant of what's in the food I eat - even fruit is high in sugar - who'd have thought? I try to eat in moderation and drink very few fizzy drinks. But I've always been on the chubby side and I think genes also play a part in weight. Thanks for the reminder to watch what we eat. I've always been tall and fairly lean without putting much effort in Suzy - so the last few years (as my metabolism has slowed down) have been a real shock for me - it's amazing how quickly the weight creeps on if we don't keep an eye on what we're putting in our mouths! Welcome to the victims of TOFI club Leanne - my midline is telling me I've been a member for the last few years - now I have to try and get rid of it - and it's not an easy process melting that little sucker back to what it should be! Hi Leanne, no I don't have soft drinks. I like sweets, but I don't like having too much of it. I try my best to keep the calories in check. I have heard of Tofu. But not Tofi.